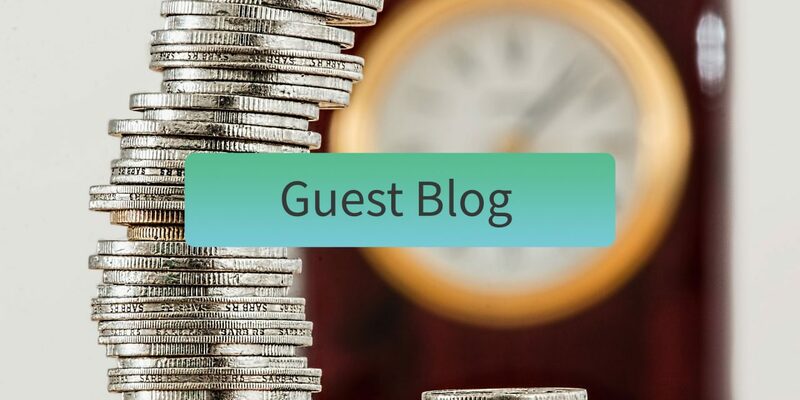 As a Restructuring professional I have found that final salary pension schemes can act as a significant barrier to a successful restructuring, the ability to effect a merger or the very viability of a “spin-out” organisation. In many cases this has led to insolvency, as the pension commitments become unsupportable. There are, however, options available to help mitigate and resolve the risks. In this article I address the issues around pensions that impact on the feasibility of taking service out of local/national government control into a social enterprise, a mutual or other alternative delivery models. What happens to employee pensions on transfer to a new organisation? Normally under the Transfer of Undertakings (Protection of Employment) regulations (TUPE) a new business doesn’t have to offer the same terms and conditions to employees in relation to pension entitlement over the minimum obligations required under automatic enrolment. However, for Local and National Government spins-offs different requirements apply, which are in excess of normal TUPE rights. The policy is broadly to ensure that transferring staff are entitled to pensions in respect of future service that are worth as much as they would have had, were they to have remained with their original employer. For a pension arrangement to be assessed as being “broadly comparable” to a public-sector pension scheme, it does not need to offer identical benefits. However, it must offer “broadly” the same type of benefits, with the same (or greater) overall value. In practice, due to the “gold standard” pension provided, the employee transferred to a new organisation will typically remain in their current scheme. However, there are private sector alternatives available where the employer would have more control over the funding and investment policy. What needs to be addressed on acquisition? Pension valuations are highly sensitive to changes in investment, inflation and mortality assumptions. This can lead to substantial changes in the deficit/surplus at every valuation date and have a consequential impact on the cash funding required by the employer. When considering the viability of a transfer of operations, it is crucial to understand the extent to which the obligation for past service liabilities will be “left behind” with the council/government department. The ideal position is to negotiate that all liabilities in relation to employment pre-transfer date are the responsibility of the transferor. Without such assurance, the new organisation could face a situation where it is exposed to a significant increase in cost, related to funding benefits, which accrued many years previously. As staff costs will likely form the highest element of the cost base, any changes to the contribution rate, particularly in an environment where there is little/no growth in revenue, can be disastrous. Unfortunately, many organisations transferred schemes when they were in surplus or were not aware of the risks involved and did not take measures to cap the liability. Therefore, they have been left with a volatile and typically increasing liability that cannot be met on an on-going basis, let alone the payment of the deficit on scheme exit. What happens when the last employee leaves? Even when measures have been taken to ensure that the requirement to fund past service is restricted, there is still an issue regarding what happens when the last employee in the pension scheme leaves service. The regulations only anticipate the binary positions of an employer being an active member of the pension scheme or being a ceased member. So, at present when the last employee leaves the scheme this automatically triggers the cessation debt, even if that liability will only be incurred over the life of the members. One solution has been to “kick the can down the road” and allow new, younger members to join the scheme to avoid an exit debt being triggered, which is a clearly unsatisfactory outcome as this will likely increase the eventual exit debt. Legislative changes have occurred in April to allow a more planned/deferred exit, by allowing the employer to pay off any debt triggered by ceasing active membership, or from ceasing future accrual over an appropriate timescale, thereby helping to tackle the “can’t afford to leave” and “can’t afford to stay” issue but this needs careful negotiation as a common request would be for the employer to provide security to a pension fund, which may be difficult to provide. Please note, that these changes do not apply to Local Government Pension Scheme arrangements. I recently dealt with a charity that had a significant number of employees across various Local Government Pension Schemes (“LGPS”). On the TUPE transfer of the staff, the LGPS schemes involved were in surplus, so no measures were taken to cap the liability but the deficit had quickly grown to a significant multiple of the average annual profit. The likely annual contribution would also be far in excess of the cash generation capabilities of the business. This was an extreme example, as regardless of what mitigation and instalment plans could be put in place, the pension debt was unaffordable. Whilst this position was clearly recognised by the pension funds involved, we were unfortunately unable to agree a compromise with its pension creditors that would have generated a better return than an insolvency. As a result, a pre-packaged administration process was required to enable the transfer of operations to a new vehicle with the pension fund liabilities being left behind and with careful planning, there was no disruption of the underlying activities. The few remaining active members of the LGPS were transferred to an alternative pension provision. Final salary pensions are a key component of the benefits offered to employees in social enterprises, firstly to compensate for what may be a lower salary than would be offered in the private sector and also to ensure that social enterprises can compete with local and national government departments for staff. On spinning-out services from Government, care should be taken to ensure that any liability for past service is capped, or in cases where this is not possible, to negotiate that the liability that is being taken over is manageable e.g. with the ability to pass on increased costs under the underlying service contract. There are options that can be examined to deal with a pension deficit and the earlier these matters are addressed the easier it is to agree a solution. Phil Reynolds is a Partner in the Restructuring Team of FRP Advisory LLP and has a particular interest in the challenges facing the Charity and NFP sector. The views expressed here are Phil’s own and do not represent the views of his employer. FRP Advisory provides a professional and considered approach to problem solving. With 48 partners and more than 300 staff operating from 19 offices across England and Scotland, FRP Advisory is one of the UK’s largest independent business advisory firms specialising in corporate restructuring, corporate finance, forensics, pensions advisory and debt advisory, with a strong reputation and track record for creating, preserving, and recovering value across a range of complex situations. Its advisors work at board level, with investors, lenders, government and regulatory bodies, plus other professionals and individuals requiring professional support. FRP Advisory provides a wide range of services, as well as specialist industry experience to enable the delivery of sector specific solutions. ** Section 75 of the Pensions Act 1995 provides that, if a relevant event occurs to trigger the employer debt, the sponsoring employer concerned is required to pay a sum of money equal to that employer’s share of the total difference between the value of the assets and the amount of the liabilities of the scheme, calculated on a buy-out basis (see below). This is known as the ‘employer debt’ or ‘section 75 debt’. 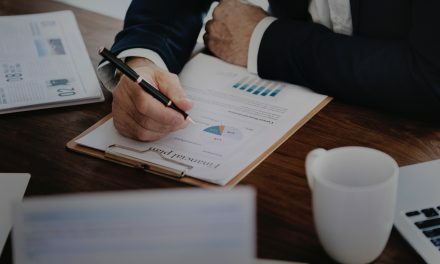 However, in practice the money usually remains invested in the scheme with the chance of investment out-performance and is not used to purchase annuities.